Property asking prices are rising strongly in parts of the UK, led by the Midlands, Wales, and the North of England, but they are falling in London and the South East, the latest index report shows. Topping annual growth in the year to March 2018 was the East Midlands with year on year growth of 5.3% taking the average asking price to £228,974, followed by growth of 5.1% in Wales to £196,561, the index data shows. There was also strong annual growth of 4.8% in the West Midlands taking the average asking price to £240,211, a rise of 4.2% in the North West to £198,082 and a rise of 4.1% in Yorkshire and Humber to £191,935. In Greater London average asking prices fell by 2.3% year on year to £531,337 and there was also a fall in the South East of England, down 0.4% to £399,315. This means that nationwide there was a rise of 1.3% to an average of £306,724. Month on month the strongest growth was a rise of 1% in Wales, followed by 0.7% in the North West and a rise of 0.6% Yorkshire and Humber, the West Midlands and the South West. On a monthly basis asking price fell by 0.4% in the South East and by 0.1% in London while they were unchanged in Scotland. The index also shows that there were surges in supply in certain areas, most notably a rise of 17% in the East of England and 16% in the South East while time on the market increased by 15% in London, by 18% in the South East and by 17% in the East. Doug Shephard, Home.co.uk director, said that supply in London and the South East have risen to near seven year highs and the ‘worrying’ trend shows no sign of slowing. In contrast, Wales, the East Midlands, West Midlands, the North West and Yorkshire have thriving property markets while supply has fallen in Wales, Scotland and the North East, down by 5%, 2% and 4% respectively. Shephard believe that the market is moving to the next stage of the property cycle as the downturn that began in London is spreading out to other regions. ‘The Midlands and South West look to be peaking and only the far North, West and Wales show opportunities for significant growth in the near term,’ he said. He does not see prices bottoming out in London in the near term. ‘Basic economics would suggest that demand must rise or supply must stop growing. Since demand is allied very closely to mortgage interest rates, it’s hard to imagine that aspect improving. Hence, the key signals to detect the bottom of the cycle must be when supply stops increasing and stock levels stabilise. Looking at the current trends, this could be a long while coming,’ he explained. He pointed out that hard to sell properties in and around London could enter the rental market but they won’t be cheap as landlords are likely to increase rents to offset tax and regulatory change costs. They will be able to do so due to high demand in the private rented sector. ‘Rents in Greater London have risen by only 2.7% over the last 12 months but available properties to rent have fallen by 20% over the same period. This clearly portends a large increase in rental values in the near term,’ he added. 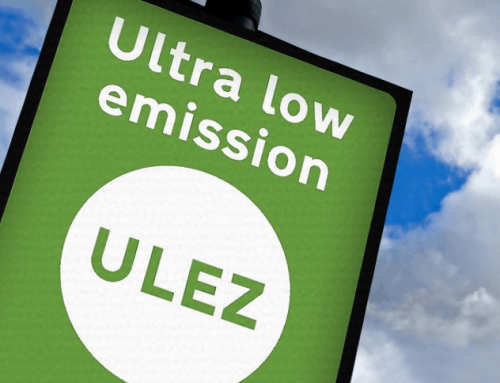 The London ULEZ is live effective today!